Gus ‘Goose’ Ronald uploaded a video at about 12:30 this afternoon on Good Game’s official Youtube Channel, followed by a community update at approximately 1:30pm. 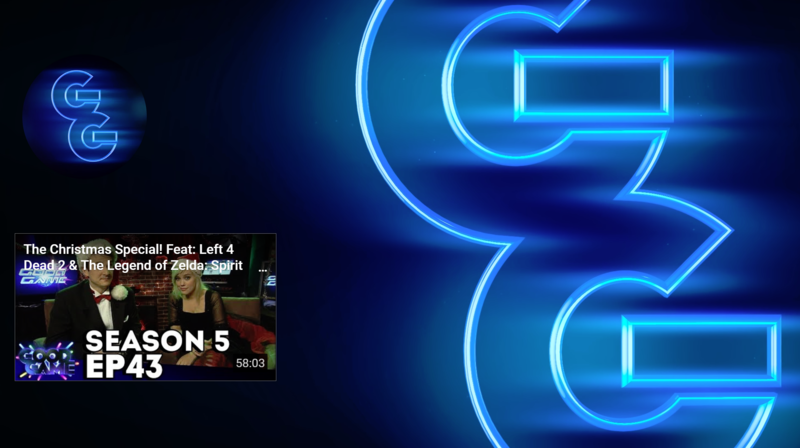 After two silent years, the ABC’s show about video games for adults, Good Game, appears to be returning. This afternoon it’s former reporter and host, Gus ‘Goose’ Ronald posted a video onto the show’s official youtube channel, prompting surprise from it’s fans. The video, entitled “Goose’s Good Games List Of 2019 (the first bit)” has 1.6k views at the time of publication, with long time fans expressing their surprise and happiness at the show’s unexpected revival. 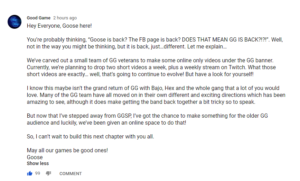 About two hours later, ‘Goose’ posted a community update through the channel, explaining the status of the show. He states that “We’ve carved out a small team of GG Veterans to make some online only videos under the GG Banner.” He goes on to say that they hope to upload “two short videos a week” in addition to a “weekly stream on twitch”. He admitted that this wasn’t the “grand return of GG with Bajo, Hex and the whole gang”, but noted that they have “all moved on in their own different and exciting directions”. This has made the prospect of bringing everyone back “a bit tricky so to speak.” He finished the post off by stating that he “couldn’t wait to build this next chapter” with the fans. At the end of last year, Goose had also left Good Game Spawn Point, but was offered “a chance” in producing content for Good Game. Later, when asked via the comments section if the original website would be updated to reflect the revival of the show, ‘Goose’ stated that they’re “not planning to update the old website” at the moment. This all comes after two years of no new content, after the ABC axed Good Game at the beginning of 2017. The official website has since been archived, it’s youtube channel only uploading older episodes each January, and it’s facebook post had been closed prior to today. The act of axing Good Game had led to the #PutOutYourControllers movement on social media, with fans flocking to protest it’s cancellation.